​Domaine Berthoumieu is owned by Didier Barré, who took over for his father Louis in the mid-1980s. Didier was one of many young winemakers at this time greatly inspired by Alain Brumont of Domaine Bouscasse/Chateau Montus fame. Brumont could be called the founder of modern Madiran. Didier attended enology school in Bordeaux and immediately upon taking over the domaine, lowered the yields in the vineyard and began aging his wines with a judicious amount of oak. Domaine Berthoumieu has 24 hectares of vineyard. 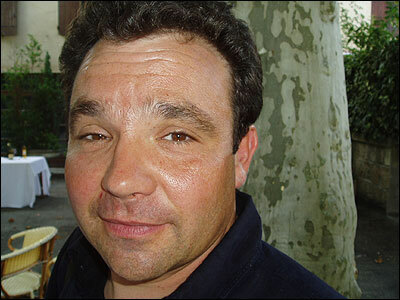 His vines include Tannat,Cabernet Sauvignon, Cabernet Franc, and Fer Servadou grapes. Didier's top red wine is the cuvée Charles de Batz, which was the original name of d'Artignan. The wine is composed of 90% Tannatwith 10% Cabernet Sauvignon from vines that are at least 50 years old. The soil in these vineyards is clay and limestone with some round stones at the surface. A green harvest is done during the summer to limit the yields to around three tons an acre. Harvest takes place late at Berthoumieu — normally around the beginning of October — exclusively by hand. After being completely destemmed, the Cabernet and Tannat are fermented separately in cement tanks. During this time, a bit of micro-oxygénation or microboullage takes place. The wine then goes into oak (60%) in an underground cellar where it also undergoes malolacticfermentation. After twelve months in wood, it is blended and bottled after a very light filtration. Tasting Notes: Very ripe, rich Madiran that takes no prisoners. This wine succeeds in obtaining more fruit than tannin! The color is nearly opaque — wine doesn't get much darker than this. It displays notes of black fruit (blackcurrant and blackberry) along with just a hint of red fruit. There is a cedar-like creaminess to the oak which is extremely well-integrated. Tannins pick up on the finish but, let's face it, this is Madiran and that is to be expected. These tannins dissolve when the wine is matched with richly flavored meats like leg of lamb, duck, goose or game. Although Didier's main focus is red wine, he also makes very good sweet and dry white wines under Pacherenc du Vic Bilh. 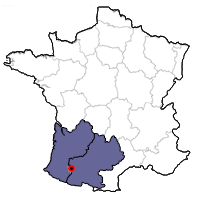 This is the appellation required for white wines produced in the Madiran region.